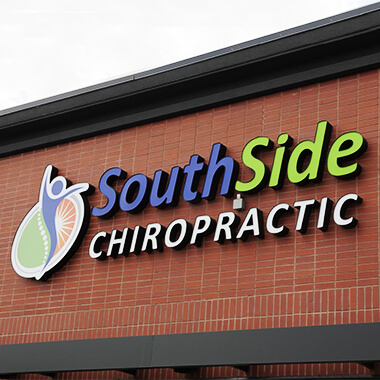 We’re known as a super-friendly practice with a “small town atmosphere in a big city.” We feature cutting-edge diagnostic tools to objectively measure your current state of health, including heart rate variability testing, surface EMG and thermography. Dr. Don MacDonald couples this noninvasive testing with high-quality chiropractic care to make sure that positive outcomes are an everyday reality. Practice members who are concerned with maintaining good posture, and don’t want a “dowager’s hump” as they age. Those who value and honor their bodies and want to use them well; they love yoga, golf and other physical activities. People who are suffering from long-term stress and heading toward burnout. They’re sedentary and dealing with aches and pains, headaches and poor reactions to stress. Optimal function: We’re able to measure this through specific neurological testing designed to improve balance parameters and the brain-body connection. Posture: Posture has a direct correlation with spinal and extremity instability. Stress: Through our diagnostic testing, we can measure the irritation levels of nerves, blood vessels and glands, along with your individual response to stress. Once you’ve been through our new patient procedures and are part of our practice family, you’ll find that we’re very accommodating. We try to be mindful of the variances in individual work schedules and offer convenient hours and Saturday appointments. We also accept same-day appointments and flexibility in appointment planning. We also offer a complimentary health talk for our new practice members, which we often refer to as Chiropractic 101. This event explores the ways you can achieve health optimization through good nutrition, proper rest and stress management. Everyone is welcome! We’re always pleased to welcome new families to the practice. Whether your goal is to maximize your health and function, improve athletic performance or eliminate pain, we can help. Get in touch with us today!